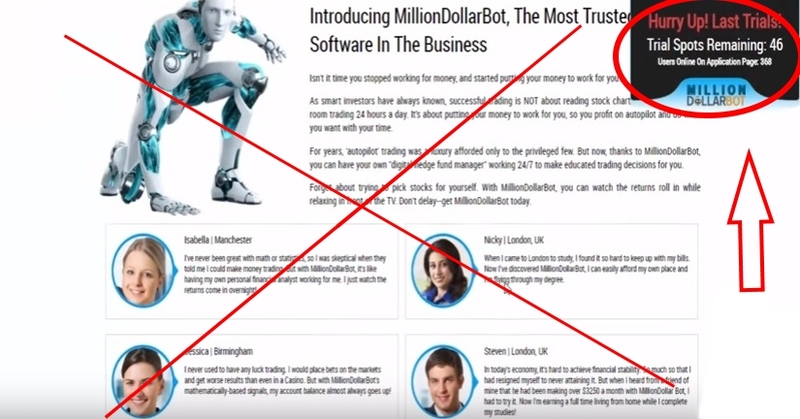 Million Dollar Bot Review – Viral Scam Alert! 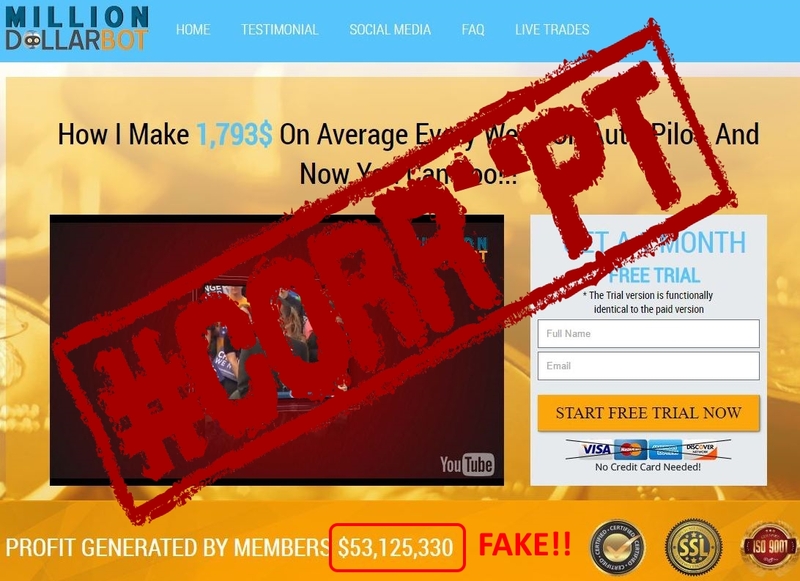 Million Dollar Bot by Thomas Cooper is a recycled albeit viral scam. This is a binary options auto-trading application, which happens to be the same app responsible for thousands of dollars in losses when it was first launched in 2016. Make sure you read our Million Dollar Bot review first before making any decisions regarding this highly deceptive software. Make no mistake, this is unfortunately not the first time we have heard of the all too famous Million Dollar Bot. 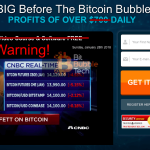 This binary options scam was in fact released last year for the first time and it lead to not only serious financial implications for traders but also had a profoundly negative impact on the industry as a whole. It was truly horrendous. 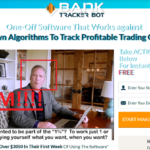 Clearly, the horrible people behind this fraudulent trading software, have decided that they didn’t damage enough bank accounts last year and have released their dreadful scam yet again. 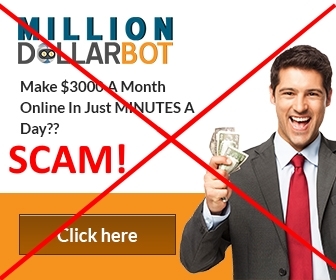 We know how popular this was in 2016, with many traders falling victim to Million Dollar Bot, so we also know that the scam artists behind it obviously made a lot of money. Perhaps the most alarming and downright frightful discovery we made concerning both websites (yes, they have two) is their aggressive approach in getting any visitors to their websites to sign up with them. They bully each and every visitor via the use of pressure inducing widgets and tactics. A common scheme among online criminals these days. An obvious reason for this is because these scam professionals know that if they give you a few seconds to actually stop and think this through, you will realise what is going on and would never register with them or deposit any money into Million Dollar Bot scam software. They try everything they can to rush you into signing up without giving it a second thought. They achieve this by adding the infamous “Spots Remaining” countdown widget. To catch them out at this, all one needs to do is simply refresh the page or close it and then come back, and you will notice that the timer starts all over again. You can come back to the site in two weeks from now and you will still find the same number of remaining spots left. In the presentation video, Thomas Cooper says that his software won’t cost you anything and that you can put away your credit cards. He states that you only need to deposit $250 with the associated broker in order to open an account and start trading. However, according to some of the angry emails we have received, this is not actually the case. What the scam artists are not telling you, is that Million Dollar Bot software is actually being sold for quite a hefty sum of $2000. When you fund your broker account with $250, you will be given a basic version of the robot. The truth is that the software will be barely functional and apparently comes with a lot of bugs and malware issues. This is their way of forcing you into actually purchasing the robot for we deem to be an astonishing rip off price of $2000. Another appalling revelation we can provide as evidence of a Million Dollar Bot scam, is the fact that the alleged creator Thomas Cooper, does not exist in the real world. The man you see in the video is in fact a well-known binary options scam actor. It would seem this guy is somewhat morally challenged judging by the number of scams he has been associated with. 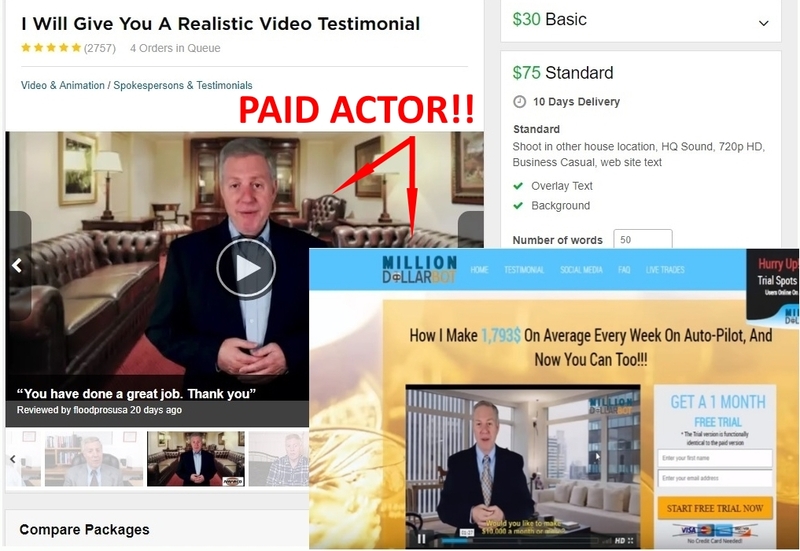 You can find him on Fiverr offering cheap acting gigs starting from around $30 to $75. The image below speaks for itself in terms of concrete evidence that he is not a millionaire. 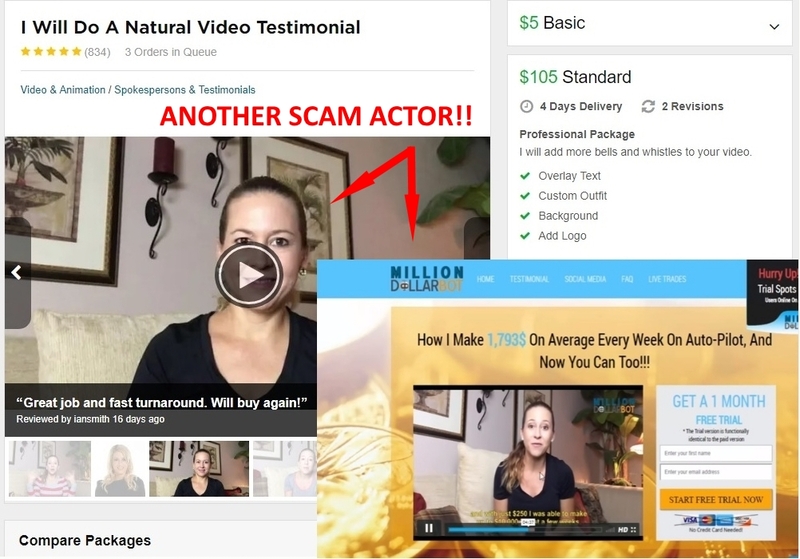 Furthermore, one of the supposed female members of Million Dollar Bot who shamelessly gives an account of how much money she has made using the fake app, can also be found on Fiverr offering cheap acting gigs – See Image below. Both of these liars have been exposed in countless other binary options scam software’s like Monaco Treasure, BotPlus 365 and Elite Trading Club, just to name a few. As you can see, they get around a lot. Further to the abovementioned information, we noticed while doing some due diligence for our comprehensive, factual and unbiased Million Dollar Bot review, that there appears to be a plethora of unverifiable claims thrown about, not only during the video but also present on the website itself. This is a major warning sign of something being amiss with the system. For starters, there is the absurd claim that Mr Cooper claims to be an expert Wall Street Trader who quit his job to create a binary options trading robot. We have already proven that the alleged Thomas Cooper is actually an actor, so clearly this is just an outright lie. 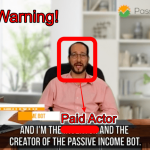 He also claims that he can guarantee you will earn $10,000 a month using Million Dollar Bot software and that if you do not, then he will refund you. How do you expect to petition a refund from a non-existent person who is so obviously misleading you? You simply cannot! Additionally, there is the ludicrous declaration that to date, Million Dollar Bot members have produced a combined profit of over $53 million. The question remains though, where is the proof? Simply having someone tell you so is nowhere enough to instill any confidence. All these claims are extremely misleading with nothing to back them up whatsoever. Verdict: Million Dollar Bot is a Scam! Best Binary Options Robot – Available In Most Of The Regions! Join Option Robot By Clicking On Below Banner! Are You From US? Then You Should Join Bin Bot Pro For Trading! By now, after having read through our review, it is painfully obvious that this is a scam, and a loathsome one at that. This software lacks any kind of credibility. We sincerely hope that you find this information helpful and that you have not yet fallen for this money-stealing gimmick. If you have already registered then we advise that you do not deposit any money with them or their associated brokers and simply deactivate your account immediately. Bank Tracker Bot Review !! It is a SCAM!! 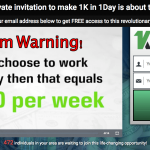 1K In 1 Day Review – Another Dangerous Scam Exposed! Avoid It! 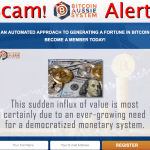 Bitcoin Aussie System Review – Another Scam From Con Artists! 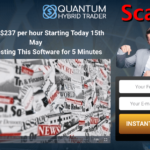 Quantum Hybrid Trader Review – Another Scam Exposed With Proofs!